Survivor: Borneo (2000) - 16th place, 1st out. 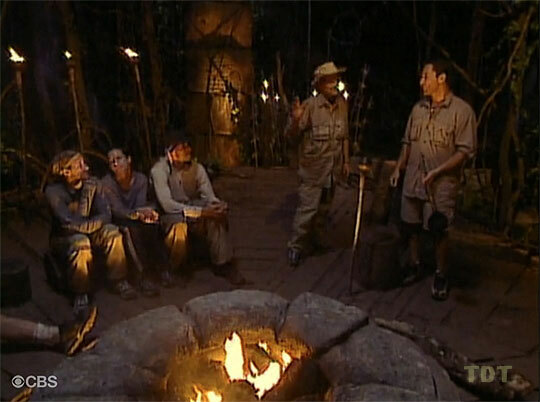 Voted out in Episode 1, "The Marooning" (Day 3). Borneo Ep. 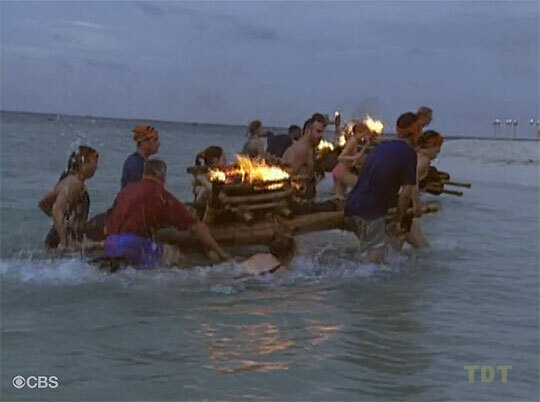 1 RC/IC: "Quest for Fire" - Struggles a bit with the hauling of the raft through the surf, Tagi loses. Borneo, Ep. 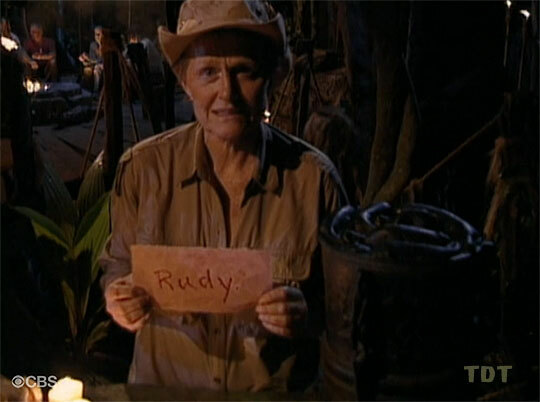 1: Four votes, from Rudy, Sue, Sean, and Dirk (voted out, 4-3-1). 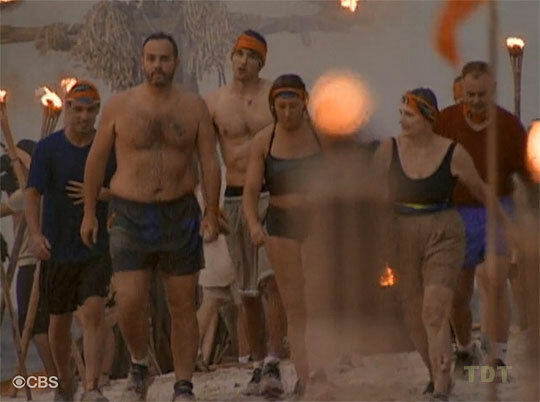 CBSNews.com article (6/1/00): "Survivor Debuts to Mixed Reviews"
SurvivorOz podcast interview (5/8/12): "Sonja Christopher Interview"
"Sonja was born and raised in Olympia, Washington. Her studies at Whitman College in Walla Walla, Washington, the University of Oslo in Norway, the University of Washington in Seattle and the University of California, Berkeley, produced a Bachelor of Science degree in psychology, along with a teaching credential. Before retiring, Sonja worked as an investment counselor, tennis teacher and elementary school teacher. She currently works part-time as a music therapist, playing the banjo as she leads sing-alongs at Alzheimer's centers. She also enjoys performing in local community theater. Her favorite sport is swimming, although it used to be tennis, which she played competitively for a number of years. She also enjoys playing Bridge. Sonja describes herself as courageous, open and fun-loving. In describing her perfect day, Sonja would wake up feeling good and counting her blessings. She would enjoy a cup of coffee while reading the paper before heading out to exercise (walk, bike, swimming or yoga). Afterwards, she would connect with a friend by phone or over lunch before or after performing at a nursing home. At some point in her day, she would discover a new interest, "be there" for someone in need, have a new idea or fix something around the house and find that all the desk work which requires a good deal of her time would miraculously get done by itself. Capping off her perfect day would be an evening at the theatre or movies with a dear friend, after which she would crawl into bed with a good book. Sonja currently resides in Walnut Creek, California, about 45 minutes from her son, Dan. She is on the Board of Directors at her the Unitarian Universalist Church and was instrumental as a fundraiser in the building of the Regional Center for the Arts. She is also is a member of the Diable Light Opera Company and Contra Costa Musical Theatre, and also participates in local video and computer clubs. Her birth date is Jan. 28, 1937."